Dr. Amy Shepard, D.O. attended Michigan State University College of Osteopathic Medicine and completed her residency at Providence and was trained in Family Medicine at Providence Medical Center South Lyon. Following five years in private practice in Fenton, MI, Dr. Shepard has returned to practice at ... Read More Providence Medical Center South Lyon. 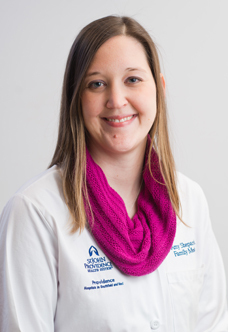 She enjoys caring for patients of all ages and incorporates Osteopathic Manipulative Therapy into her practice. In her spare time she enjoys biking riding and spending time with friends and family.